Halekai III has 11 bedrooms and 11 full baths and a gorgeous 100' very private beach. 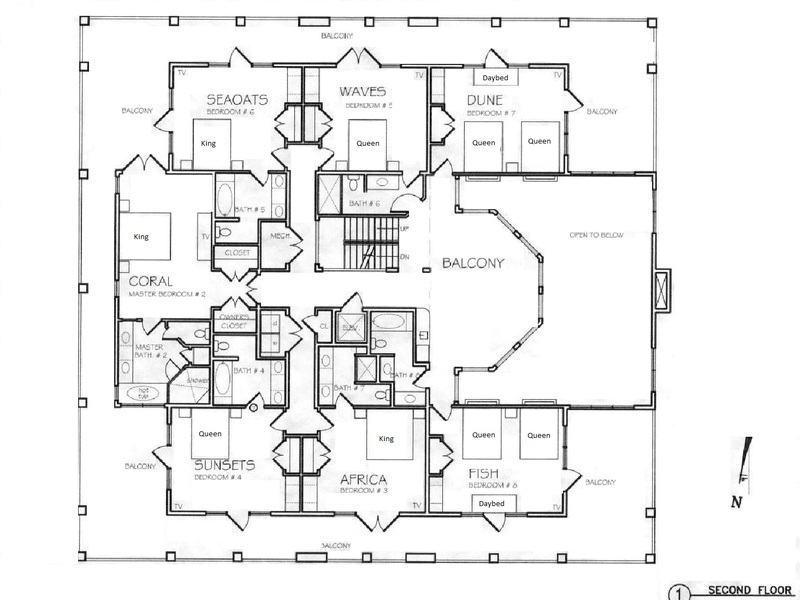 Halekai III has a hot tub, as well as a new heated private pool and expanded outdoor living area. This beautiful designer home will accommodate up to 36 people (maximum of 30 adults). Two full kitchens, including one custom designed for catering, make it ideal for entertaining a crowd. Perfect setting for beach weddings. In fact, we think it is the nicest house in the region for a Destination Beach Wedding. With a Media Room and 3 living rooms + 2 bonus rooms, each floor has common space area so you can spread out and enjoy the luxury! The private wrap-around balconies surround the main and second floors of the house. 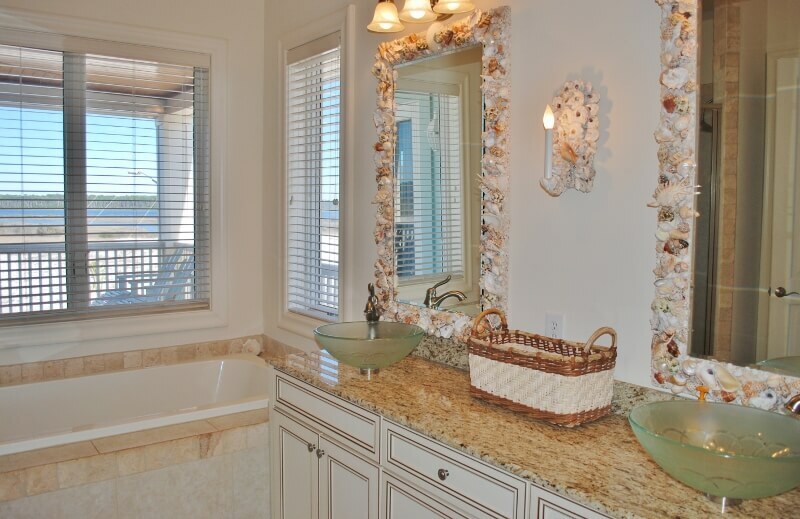 Each bedroom enjoys spectacular views of the Gulf or Lagoon, has its own deck. Private hot tub is perfect touch on one of the many decks. Teens can have their own private refuge on 3rd floor with bunk room, a bath and a family room with a large screen TV and kitchenette. 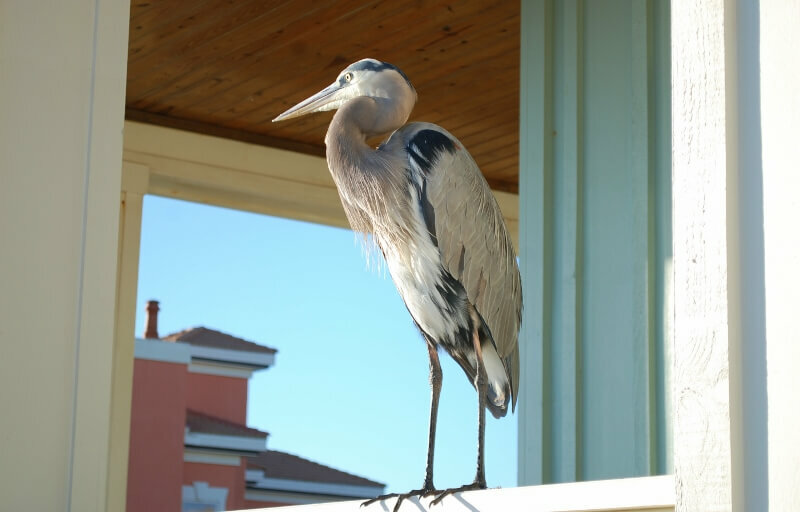 This breathtaking home borders the National Wildlife Refuge, giving you a natural feel with all the amenities of home. Bring the entire family and then some - everyone sleeps under one roof with private dedicated baths, 2 master suites and plenty of places for the kids. Great for Corporate Off-Sites, Family Reunions, and Beach Weddings (with additional wedding fee and refundable event deposit). This house met our needs perfectly on a recent women’s retreat weekend. We had real beds for everyone and large gathering space for all to come together. Another great feature was little sitting areas for more private conversations. Hot tub was appreciated with the cool weather. We loved the easy access to the beach also. Second kitchen was extremely helpful as we cooked all meals in house. We held my daughters wedding at Haleki III last month. This house was beyond our wildest dreams of beautiful! It is huge and professionally decorated. The layout is perfect for a beach wedding. We had the ceremony (attended by 200 people) on the sand and the reception on the huge concrete patio under the house. We had plenty of room. The spacious house allowed us to provide accommodations for our helpers and bridesmaids. We had a couple of VERY minor issues that were taken care of immediately! The only hiccup is event parking. You will have to hire shuttles. We rented passenger vans for our needs. I would definitely recommend this location for large family gatherings and events. Such a special house! We love the location. This house is perfect for large groups. There is always a place to find a little quiet space. Beautiful beach! this house is perfect for big families to gather. We had a great time and this house had a warm and blessed feeling. Everything is just like it look on the pictures. Whatever issue we had, they got right to it. they were really minor. perfect and we loved our stay. We had a great stay! Will be back ! The amount of space was perfect for our family (26 people from 2 -90), the elevator helped with my father being able to get to the other floors. The house was big enough for everyone to be together yet still have their own space. The views of the ocean and beach were fantastic. Pool was the right size for the children. Had some issues with the fridge but it was handled right away. Overall we were very satisfied, we did not use the grill, it probably needs to be replaced or cleaned really well. Our group of 29 had a great time at Halekai III in July. There were multiple living areas and plenty of room to relax. The pool area was great, although the pool water was quite chilly. The chest freezer was a great bonus! Our family stayed the full week until the wedding on Friday, Sept 15 2017. Overall we were very satisfied with the house and would absolutely stay here again. There is a ton of seating available in the house and all kitchen finishes, furniture, and bedding were of good quality. The new addition under the house is fantastic with the pool and tiki bar which was especially nice during the reception to have the extra space and open bar! We held the wedding ceremony on the beach and the reception for ~60 people under the house. There is plenty of space under the house for 60 people and probably more! 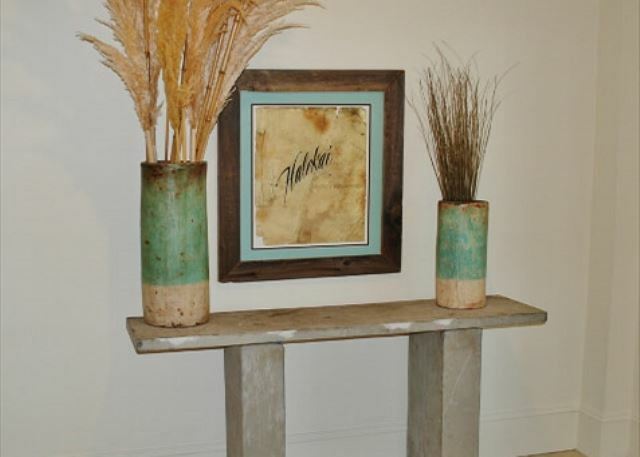 We used Nicole Miller from Southern Salt Weddings to plan our wedding and we were extremely pleased with her services. She has also planned multiple weddings under the house and is very familiar with the space and vendors which was helpful. The major benefit for this home for weddings is the fact the house is about 10 min away from all the major condos, which makes the beach private for a personal ceremony like a wedding. A few minor issues that we did have with the house was one of the showers would not get hot water, an ice maker broke, one of the fencing post fell (my dad repaired), and the hot tub jets would not work. Friends and I have been staying at Halekai III every New Years since the day it was built. It is a perfect home for several couples in that all King size bedrooms have ensuite bathrooms which we all prefer. The house is well kept and has many living spaces the group utilizes for card playing for the girls and football games for the guys on the many large screen tv's. All in all, it is a perfect rental for our group. We absolutely enjoyed our stay. The beach and gulf offer a different beauty every day. The house is beautiful and accommodating. Thank you. My granddaughter had been dreaming of her wedding at Halekai III for a long time. When her engagement was official we were lucky enough to secure a reservation for the perfect wedding site. With enough bedrooms for family and friends and living space that allows for privacy if you need it, room for the rehearsal dinner and reception under the house, and a beautiful private beach, was a dream come true. Our Favorite Family Yearly Vacation! We have been renting this house for Many Years and it is the "highlight" of our "family get-together" vacation.! The house is fabulous! We had 28 adults and 8 children. There is plenty of room for everyone! 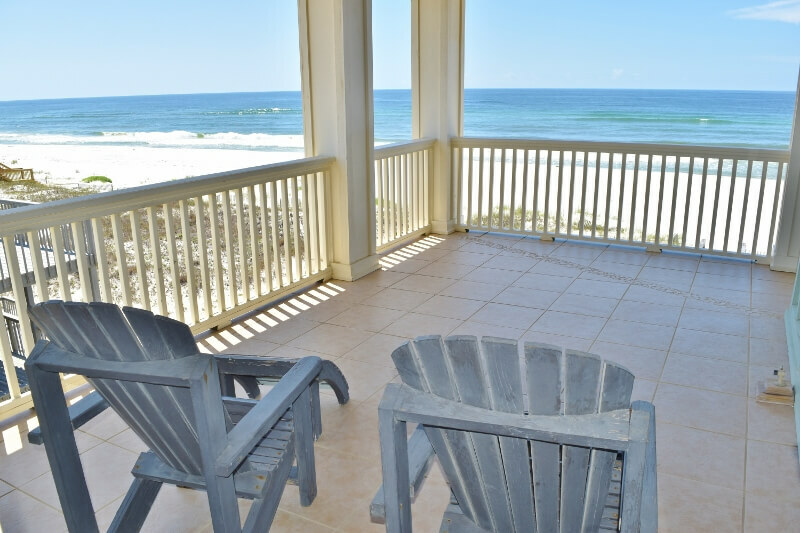 The beach is beautiful and the accommodations are great! Thank you for letting us stay for our second reunion here! Best Destination and House ever! This house works really well for our annual ladies retreat! This was a 4th time to stay and all the ladies don't want any other house but this one! Halekai III is a wonderful venue for a small wedding. Our bridal party stayed here very comfortably. We held all of our events here: rehearsal dinner, bridesmaid brunch, wedding and reception. The house is simply beautiful and very comfortable. We enjoyed our stay. Location worked for us. Everyone in our group would return. There were a few issues. The main one was that it was not ready when we got there. Group before us was late leaving. The house fit a Christmas celebration for a family of 25 perfectly. When an a/c problem happened on Christmas day, a service man was there in a couple of hours. The driveway needs 3 inches of gravel near the slab to alleviate the bump. We plan to go again. Our wedding turned out without a flaw, and I give credit to our wonderful wedding consultant from Orange Beach Weddings - Sheryl Lindsay. My daughter - bride - found this house on the internet - our entire wedding party - with spouses - both sets of parents - stayed here - plenty of room, and we used this venue for all the wedding activities, perfect. its a great house for large groups. I have 9 brothers and sisters, and this house allows us all to have our own bedroom and bathroom and still be under one roof. The community area is awesome. We love Gulf Shores and the house and location was perfect for our combined families of 29, ranging in age from 2 yrs to 75 yrs. The design of the house is great, no one felt crowded. The 2 kitchens is perfect for large groups. Great House for a Large Family Vacation at the Best Beach area. We vote 5 on ALL questions. Can't wait til next Year. Same Time...Next Year! It was a wonderful venue for wedding and reception and staying before the wedding with family and friends. everything I imagined ! We had a wonderful experience staying in this vacation home. It was perfect for our wedding. The house was beautiful and all our friends enjoyed the beach family wedding experience. It's a perfect place to make your dreams come true!! Wonderful experience, beautiful property, accommodated all our guests and met every expectation! I absolutely LOVE the Halekai III! I will definitely book w/GS Vacation Rentals again! We rented Halekai III at the end of August for a 35 person company retreat. The house had everything we needed, we barely left. In planning we struggled to find accommodations large enough to fit everyone, this house was just the answer! Wonderful. Some nails exposed in boards around hot tub and walkway to beach, pool needs to be heated. Oven in catering kitchen not working properly. Dryers took forever to work! Don't wait for a review, we send you a message early in your stay asking if there are any issues and encouraging you to let us know what needs help. Oven was repaired as soon as it was reported! Pool is heated to normal resort temp of 83-85 degrees. We rented Halekai III to host our beach wedding. The beach was amazing. This was our first time visiting Gulf Sores, and we have decided that this will be our new vacation spot. The house was beautiful. It was more than big enough to accommodate our family and friends. The only downfall we noticed was the cleaning crew did not do the best job possible. Some areas were very dirty. Although we were somewhat dissapointed with this, we did not let it bother us! We all had an outstanding time and would definitely recommend this home to others. We would love to come back in the future! Halekai III got a new cleaning team starting January 2017! Please call us if we have missed something. We are happy to come fix it. our family have grown to expect this to be a wonderful week to get together. What my great-granddaughters expressed this week is perfect...Mamoo, thanks you SO MUCH FOR BRINGING US TO HALEKAI III EVERY YEAR. IT IS OUR BEST VACATION EVER YEAR!" I THINK THE WHOLE FAMILY FEELS THIS WAY, TOO. SO THANKS FOR ANOTHER YEAR AND MORE AND MORE TO COME! We view this as our home away from home. 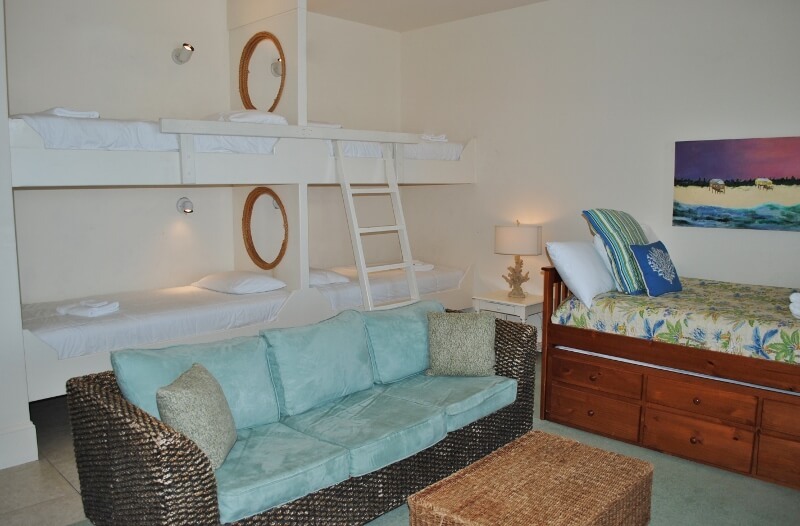 This was our sixth year to stay in Halekai III and we still love it! The new pool area is great. 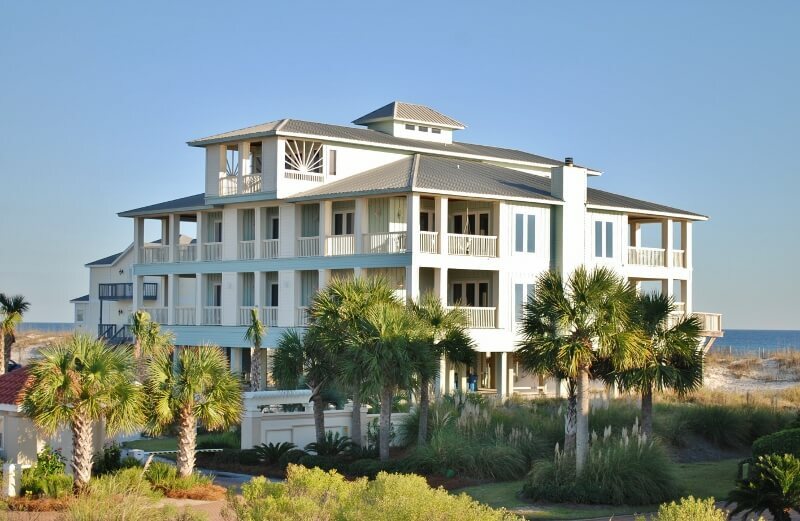 Stayed at the fabulous Halekai III in Gulf Shores, Al. The home surpassed our expectations. It was spacious for our family to have their own space plus come together for breakfast and dinner.. It was clean and was stocked with all the pots, pans, dishes and utensils that we needed. The only thing we went and bought was a wire brush for the grill. We loved it so much we are going back in 2015. We had a ladies church group come for a beach retreat and had a wonderful experience in the house. It is large enough for 30 women, it was clean and was well stocked with towels, dishes, etc... Our only issue was one of the ovens was broken and could not be fixed until after we left. It was difficult to feed 30 women with one small oven but we worked around it. Stuff like that happens so we understand. Thanks for a wonderful weekend away! Wonderful! Beautiful spacious home and well appointed. Room for everyone to find a special space. We had 30 people; great- grandparents to children from teens to under 1. Our 5th vacation here and looking forward to next year already! Halekai III is the dream house for a family reunion. Right on the beach with a private beach. We had all ages of family from a 3 month old baby to senior citizen. 20 adults and 16 kids. 5 babies under the age of 2. Great kitchen with 2nd kitchen on same main level. Great hot tub. Great outdoor grill on natural gas. 2 ovens ,2 large refrig and 1 freezer. And 2 dishwashers. Many different sitting areas for small group fellowshipping. Love love this place. Want to go back every year for our annual family reunion. The description and pictures of the house on the internet did not do the house justice. Was extremely satisfied with my rental choice. I would recommend this property to anyone, and Susan was a great person to work with. She was extremely friendly, prompt, and professional. I will use this company again!!! Relaxation and Fun At Its Best! This was our fourth year staying at Halekai III in Gulf Shores and we are already counting the days to next years stay. The property is well maintained and the layout is exceptional. The oven, cooktop and dryers could use some maintenance, but overall it is equipped with everything you need to cook for a large group. We have a theme night every year and this year was the sixties. We decided to take our party of 23 to dinner in our sixties attire. The restaurant was very friendly and really got into our theme making it even more fun. Gulf Shores we love you! Held my daughter's wedding on the beach outside the home and reception inside. Approximately 120-140 guests were in attendance and everything went great. House was perfect in every way, so beautiful for the wedding. Susan was a delight to work with as we had many questions.The 24 people who stayed in the home were very comfortable and enjoyed all the amenities it had to offer. We felt so fortunate to stay in Halekai III and would highly recommend to anyone. This house was a great place for our corporate retreat. Plenty of room to relax and enjoy! We loved our stay at Halekai III. It was the perfect setting for our daughter's wedding. All who made the wedding loved it as well. Just wished we could have stayed longer than we did. We plan on returning again. We were very satisfied with Susan as she helped us with all the reservations. A great family experience. Although expensive, it fit the needs of this family perfectly (34 members). The family voted unanimously to return in 2015. We had a great time and the place was wonderful. We love that the kitchen is fully stocked for cooking. Plenty of space and love all the balcony's. This is the 4th or 5th year we have stayed at Halekai 111. As usual we settled in nicely with everyone returning to there own bedroom. The only thing we noticed is the light furniture in the den is beginning to show its age. A little worn and darker on the arm rest. Not dirty just worn from so much use. Also the lack of throw pillows. If you hadn't been there before you probably would not have noticed. Did notice some new mattresses. A big plus was a good working Hot Tub. A plus when the water in the Gulf is still cold. All in All a wonderful time. We loved the Halekai III ! 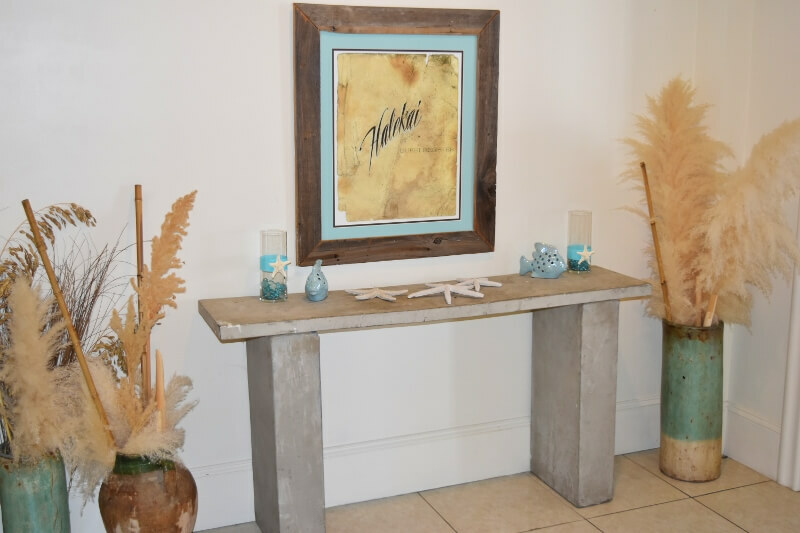 The Halekai is a beautiful location for a large family gathering!The home is absolutely fabulous!We would definitely rent it again. With 30 family members it was so wonderful to be able to actually find solitude if you wanted to just relax. The set up for the kitchen and food preparation area was perfect!The numerous ice makers were so helpful! I must say though...I did not like having to wash all those towels ...especially since the dryer did not work very well. Wonderful gathering of family from all over the region to celebrate a major milestone birthday. Was able to house everyone in comfort with beautiful beachfront surroundings. Everyone had a terrific experience. This was our second year in a row to visit Halekai III for our company retreat. It was another great stay and everyone really enjoyed it. It is a great house for large groups to be together and the location is wonderful. 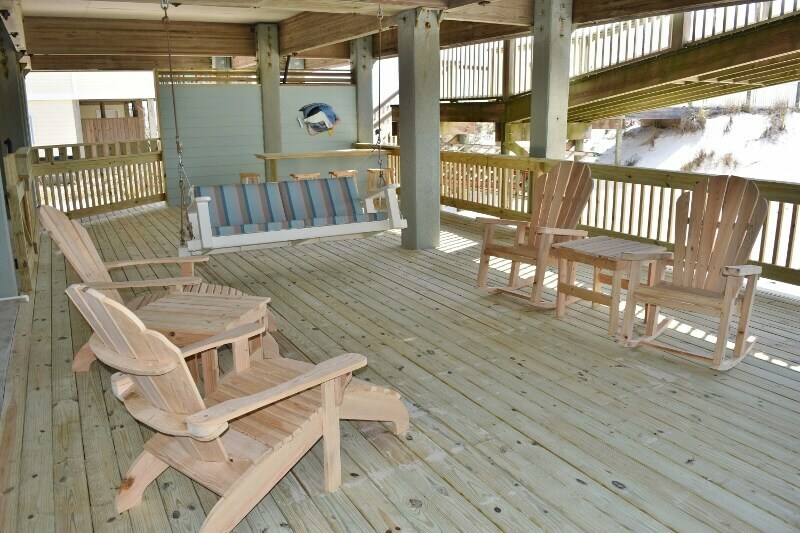 This is our eighth year to rent this home for our familly week long get together, Keller Beach Week! It is perfect for a large crowd like our family. We had about 42 that stayed at least one night in the house. This is the only house of this size with all of the different gathering areas which gives everyone their privacy and personal space. The Caldwells will do anything to help a family make lasting memories there. The only thing that would make this house better, would be a pool. I believe the beach mouse stopped that project. We actually spotted the mouse this year! Wish he'd find another place to set up house!! This was our second year at Halekai III and was again a wonderful experience. The home is just beautiful. There are no bad bedrooms all are great. So everyone has a good experience. The kitchen is the best for cooking, making meals for everyone, plus the catering kitchen adds to making things run smoothly. Susan and Geoff were great to work with,if we had a problem they were right on it. Final note the house is even more beautiful than the pictures. We as a family love it. BEST FAMILY VACATION EVER ! "Extra Large Family Together"
This may express our feelings of Halekai III when my first grandson said "Mamoo, this was the Best family vacation yet!" For the last 5 years our family vacation has been at Halekai III and we plan to continue this tradition! HOUSE itself is most comfortable; well appointed; comfortable living spaces; TV'S DVD'S,ETC. ; clean,always and updated even from last year. AND there is "Bob" to call who is quick to respond if anything does go wrong. As you can see WE CAN'T SAY ENOUGH GOOD THINGS ABOUT "OUR" VACATION HOME!" WE WOULD RECOMMEND IT ANYTIME; BUT THE WEEK WE HAVE FOR OUR FAMILY ! 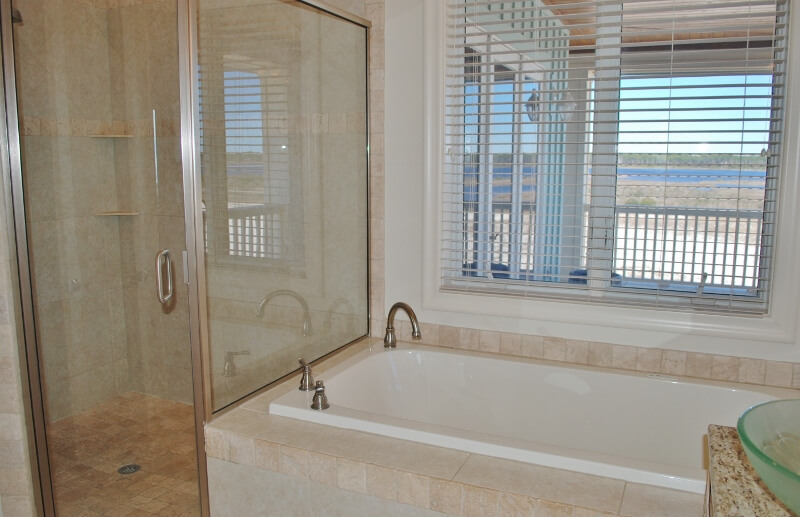 Wonderful, comfortable, and spacious house and beach location in West Beach! Loved having our wedding here; our family and friends loved the gorgeous house and beach. Our ceremony was beautiful; we were very glad we didn't have anything other than rented benches for our family and guests to sit on (no decor, no flowers, no white chairs, etc.) --there was nothing to clutter the natural beauty of such an incredible place and our photos were stunning because of it. Perfect light at around 630p for photos in early May. Working with the property management company was a dream; they were very communicative and helpful with our million questions leading up to the rental period starting. I can see this being an ideal retreat location or gathering place for a large family for a week or so, and someday we would like to return with friends and family to enjoy it again. 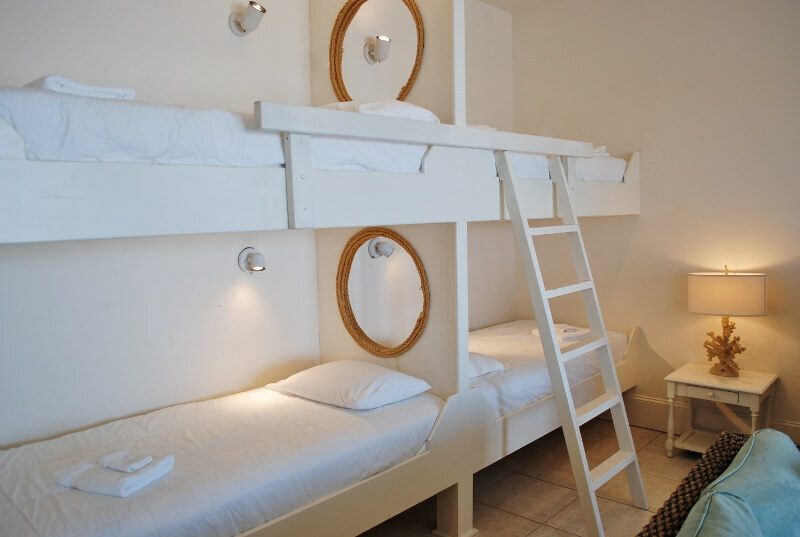 Lots of twin beds and two full beds in the top-floor loft for kids. Rented beach cruiser bikes from Beach Bike Rentals and all wedding rentals from Soho Events--extremely pleased with both. Only a few minor issues I'd like to mention for couples considering the house for a small wedding and reception: The house is extremely close to the homes next door, and there is very little parking available if you use the level beneath as a dinner/reception area. You cannot park on the main road legally, but there is a municipal lot closer to town from which you can shuttle guests if necessary. Also, we had some music playing at our reception and the police came promptly at 10am to shut it down: There is a noise curfew we weren't aware of that makes perfect sense, but something for other couples to consider if you plan to enjoy dancing and music later than 10pm. We just moved our reception inside and made sure all the windows and doors were closed. Both master suites have a window that lacks a covering, so bring an eye mask if you're a light sleeper and want to sleep in a little in the morning! This was our third year to stay in Halekai III and it was another wonderful experience. A beautifully appointed home with plenty of room for everyone. 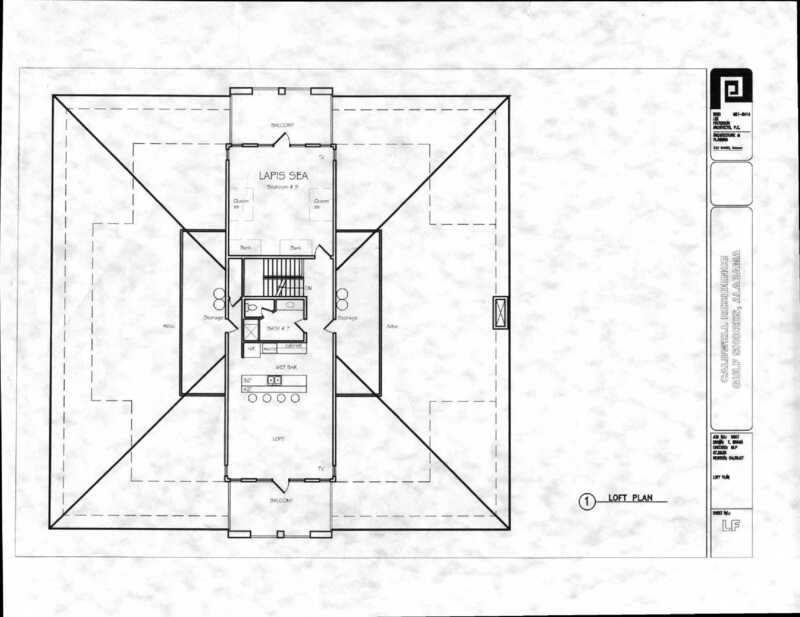 The layout is great, giving privacy to all. We are already booked for next summer and are counting down the days. It was all that we expected and we were able to have a great family vacation. It was a wonderful experience. The house was exceptional in all ways. The beach was perfect. Halekai III = Absolute Awesomeness! We absolutely adored this home! It literally made our wedding beautiful! 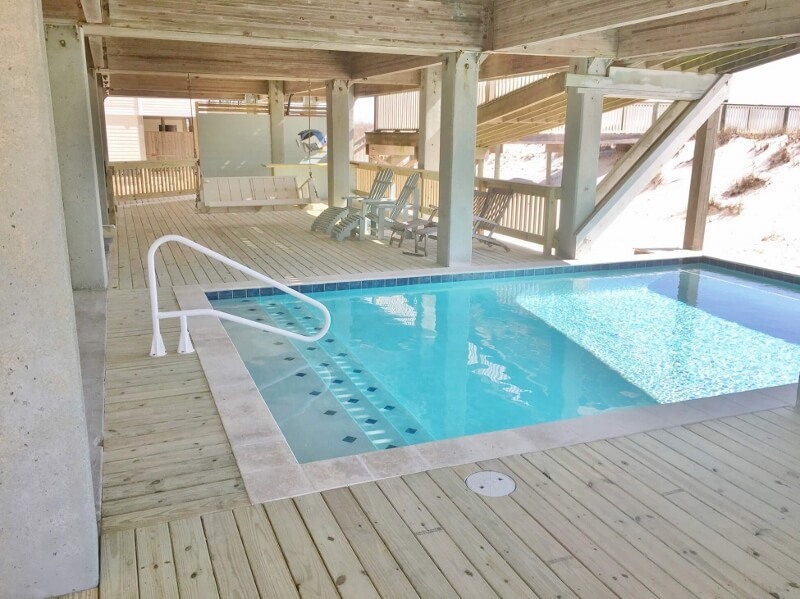 We had plenty of guests who later inquired about the contact information of the rental company because they were interested in renting the beach house for themselves at a later date. We all loved how each bedroom opened up to a beautiful view. It was gorgeous! Three words...rent this one! Our family of 31 spent 7 days in this home. It was the best family gathering we have ever had. The house is spacious and in very good condition and the location was excellent. Everything was fantastic, except for one thing! Hardly any of the locks to the bedrooms or bathrooms worked! Not a huge deal but with a house of 30 people it is a nuisance. But overall would love to stay here again. Perfect for wedding!